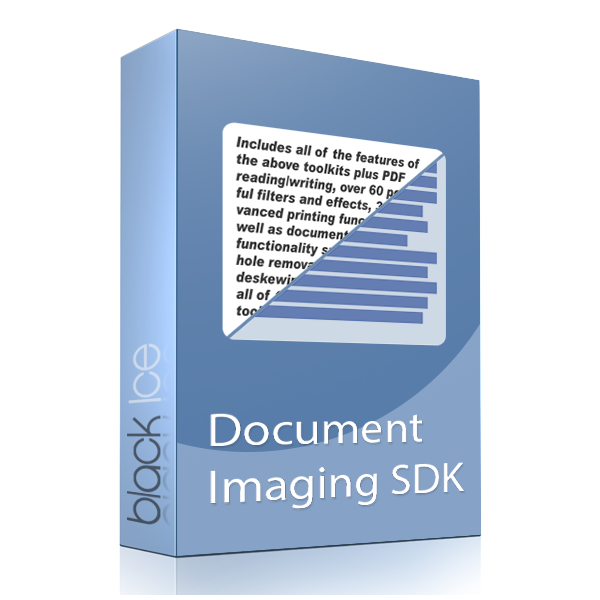 The Document Imaging SDK is licensed per system. A single license can be used on a single system. Select the appropriate License Pack with your required number of licenses from the dropdown list below. Compatible with Windows 10/8.1/8/7/Vista/XP Windows Servers 2016/2012 R2/2008 R2/2008/2003. 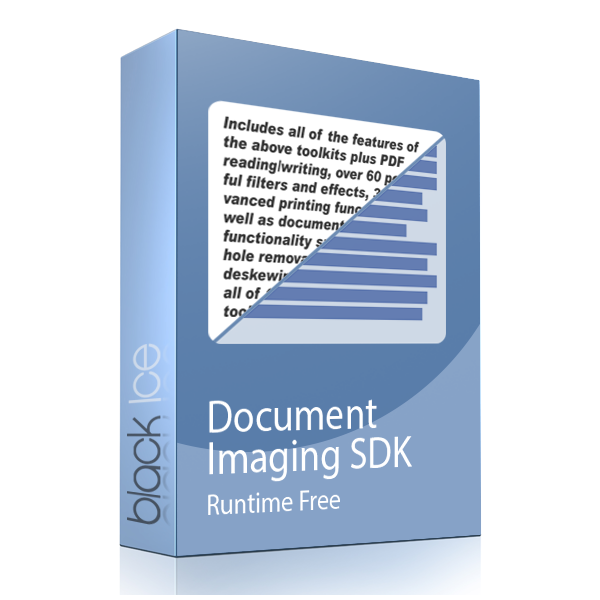 This version of Document Imaging SDK/ActiveX requires runtime licensing based on the deployment of the application you develop. Several purchase options are available. 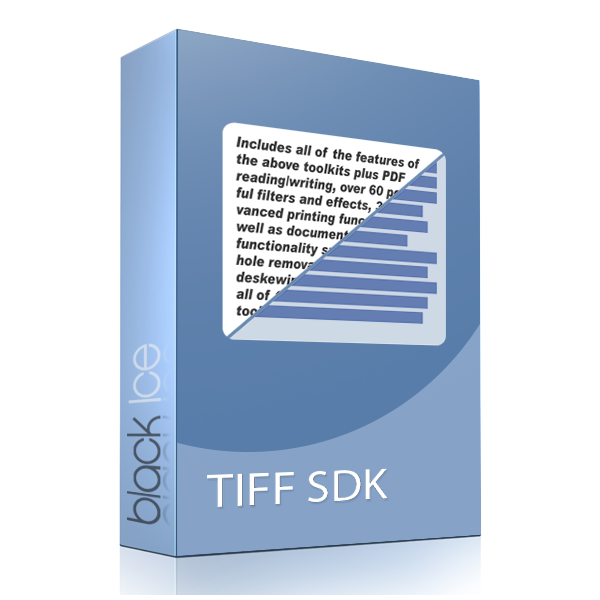 For more information, please contact sales@blackice.com or call Black Ice Sales at +1-(561)-757-4107 (Ext 2).